Quick Calc and Format of column are two much requested features. 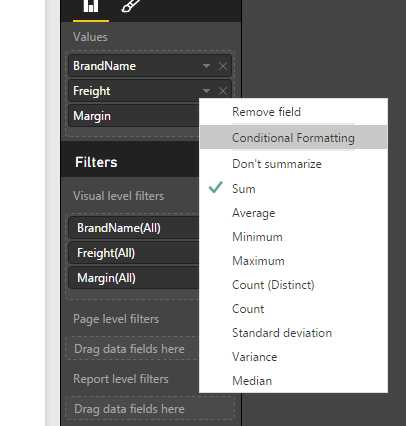 In this article I’ll explain how to use this two Features in Power bi. 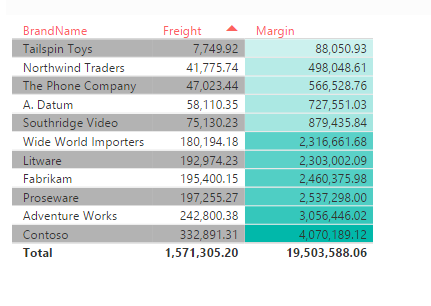 Conditional Formatting allows users to color cell backgrounds based on the value of the data in the cell. The coloring follows a gradient based on the data value. Today it’s the only conditional formatting feature. It’s not possibile use for example the other Conditional formatting feature of Excel. Then you can configure the color and the min/max values associated. If you select Diverging it’s possible insert a third colour. It’s also possible insert a fixed value for lowest and highest value. Quick calc woks in two different ways based on the column type that you have used. To access Quick calc settings right click or click the arrow of the column you want to calc and select calcolo rapido or Quick calc. To select one of these in the Quick calc windows you have to select the first drop down menu and select your Calc. 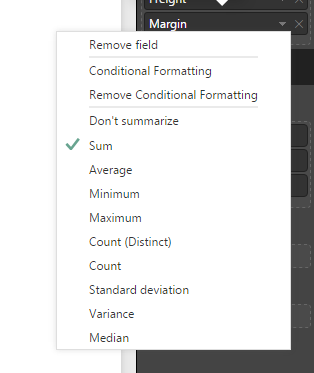 when you finish choosing which calculation to use and how to show it you have only to click OK and now you have your Calculation based on a column. 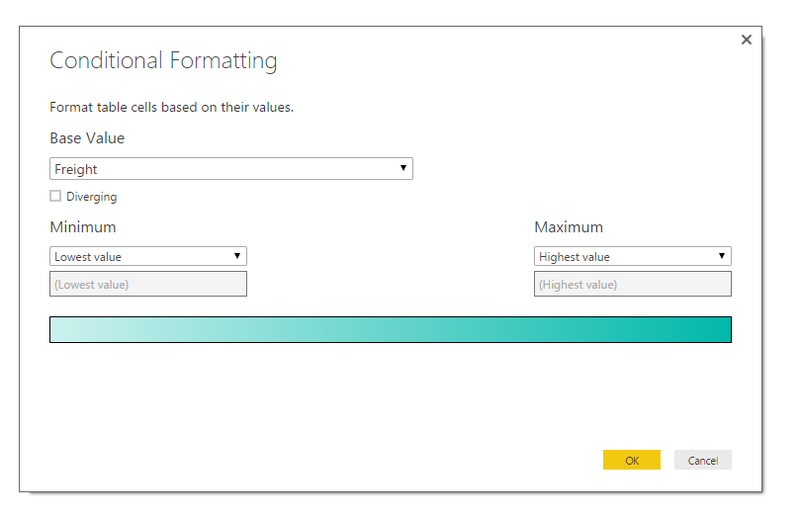 The “show format” works not only with column but also with Measure.